Filing a home owners claim can protect you against paying for damaged or stolen property out of your own pocket. As long as you have adequate coverage, you may be able to receive a pay out that covers all of your expenses while you’re putting your home back together. Whether you’re the victim of a home invasion or experience some sort of natural disaster, home insurance can be a saving grace. In order to make the process run as smoothly as possible, follow these three tips. Read your policy now and take some notes, so that when and if you actually need to file a claim you will have an idea about what your coverage dictates. Being educated on your policy can stop you from filing a claim that is sure to be rejected, or failing to claim damage that you would have been reimbursed for. Make a note of which property can be replaced, the financial limit of your claims, and the time frame during which your claim must be submitted after the damage occurs. Talk to an insurance agent if you have questions about your policy so you can purchase additional coverage now if you need to do so. Reporting damage right away may be within the terms of your contract, but even if it’s not required it’s still a good idea. The more time that goes by after a break in or disaster, the more difficult it will be to prove exactly when the damage occurred. Your insurance company could claim that it looks suspicious that you filed a claim so long after the damage happened, and it will be harder for you to prove how and when the events occurred as time goes on. Always report your damage within one week whenever it’s possible. Having photos of the damage will help your insurance adjuster determine how much damage occurred and it will also provide proof about when the incident happened. You may be required to submit images for larger claims, but it’s better to be safe than sorry and capture pictures of the damage right away to keep for your records. Sometimes submitting a photos is easier than trying to explain to an insurance adjuster what was broken or the nature of the accident. Take more images than you think you’ll need, and save them online for safe keeping. Filing a home insurance claim can involve a lot of paperwork and red tape, but the better prepared you are the less painful the experience will be. The most important step you can take now is to research the process for filing a claim so it won’t seem so overwhelming when the time comes. 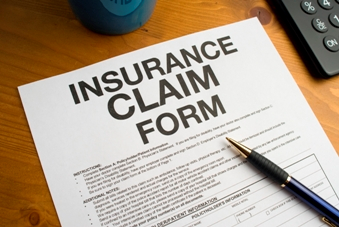 Keep a file with your policy and the instructions for claim submission. If you can file a claim online, it may expedite the process, so find out how to do that in advance and save any appropriate URLs into your browser bookmarks. Barry Johnson is a personal finance consultant. He enjoys passing on his insights through blogging. Check out the BuyHomeInsurance.net website for more information.